Nowadays public street lights using traditional lighting system is getting replaced in a gradual manner by solar street lights. The power supplied to this solar lighting system is through solar battery built out of crystalline silicon material. The battery stores electricity and is absolutely free of maintenance. This system is connected to a light source consisting of ultra bright LED lamps. A smart discharging and charging controller is used to control the system of these outdoor solar street lights. Under the control of an intelligent controller, the solar panel is capable of collecting energy from the rays of the sun. This is then converted into electrical energy when the rays from the sun hit the solar cells. The battery used for storing electricity is charged by the solar battery during daytime. Then onwards, this battery provides power to the LED lamp at night. Controllers used in the system play a vital role by protecting the battery from getting either over charged or over discharged. Compared to other kinds of street lights, it is easier for you to install a solar street light. All that you need is some amount of cement. You can dig a one meter deep hole and bolt it. Hence, installation of complex lines that are needed for other types of ordinary lamps is no longer required in the case of solar street lights. The benefits that you can derive out of solar street lamps are considered to be on a long term basis. Theycan be installed with a simple circuit and hence, there is savings in the cost of maintenance as well as large amount of electrical energy. 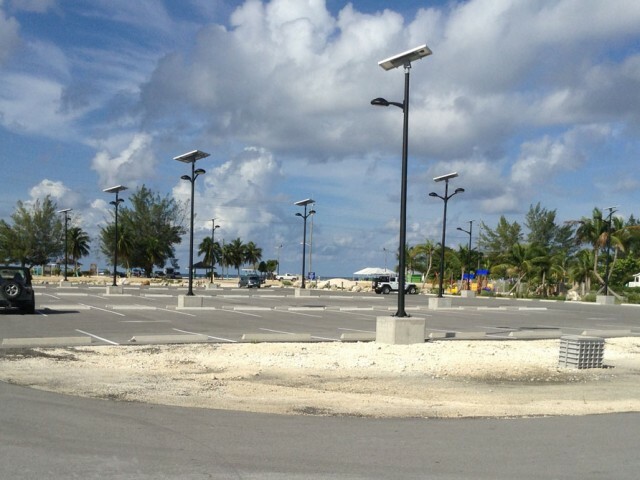 Solar street lamps operate on clean environmental friendly energy. It can be used to accelerate the development of human ecology of any residential district and your cost of property management is reduced. Hence, solar street lights offer the benefit of environmental protection, energy savings, free from maintenance and its installation is easy. The street lights working on solar energy offers you prolonged life when compared to ordinary street lights. It can last long for a duration of 5 to 10 years in comparison to a sodium vapour lamp operating on low pressure giving you only 18,000 hours of service. For more information or inquiries, feel free to contact here.